In 2368, U.S.S. 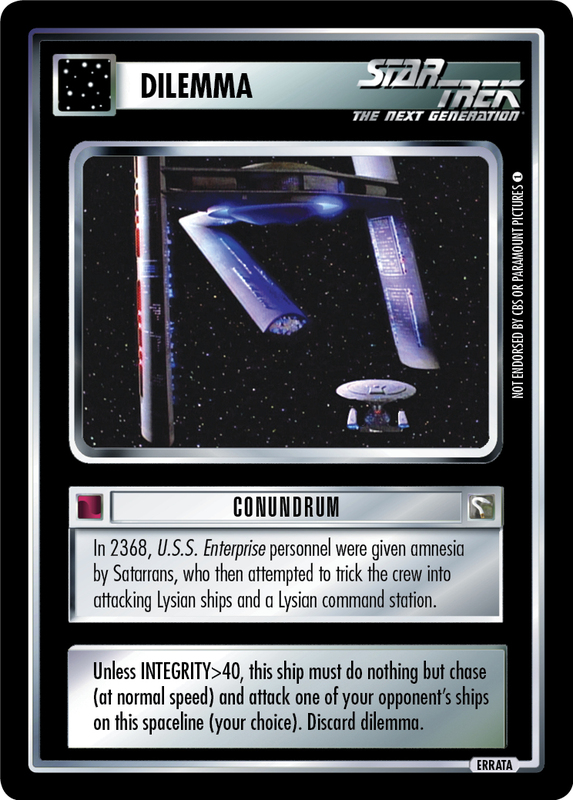 Enterprise personnel were given amnesia by Satarrans, who then attempted to trick the crew into attacking Lysian ships and a Lysian command station. Unless INTEGRITY>40, this ship must do nothing but chase (at normal speed) and attack one of your opponent's ships on this spaceline (your choice). Discard dilemma. Image Source: The Next Generation: "Conundrum"